Good apartment. Perfect size for Two couples. Distance to city is OK.
Très bien. Quelques rafraîchissements à faire au niveau décoration. Super appartement. Door aanwezigheid van 2 badkamers erg geschikt. Alles is aanwezig. 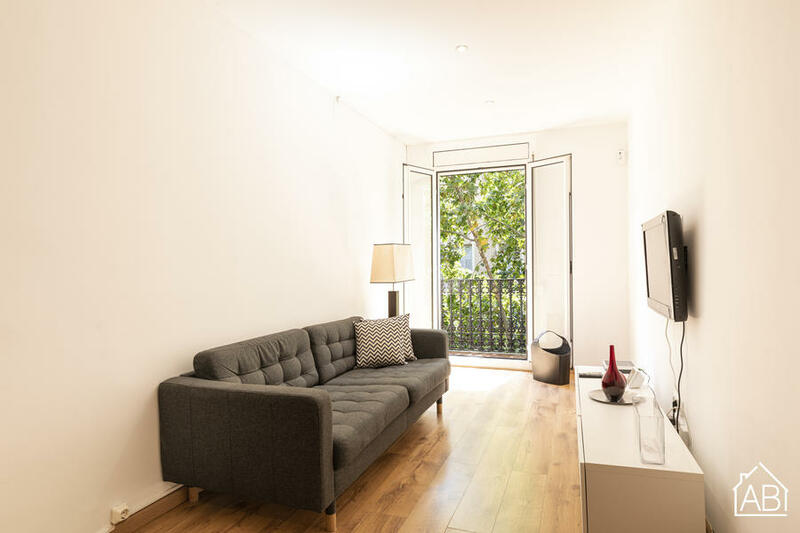 This modern, spacious two bedroom apartment in Barcelona, located in the Eixample district is the ideal choice for your trip to the Catalan capital. You will find yourself in the midst of Gaudí´s most impressive works, as well as having easy access to the many bars, cafés and restaurants that line the narrow streets. This apartment is perfect for couples or families and can accommodate up to six people.